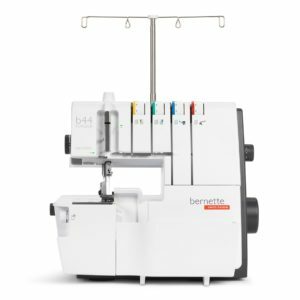 The Bernette 44 Funlock offers numerous practical functions which enable you to easily enter into the world of overlock stitching. With 15 stitches, it offers a compact stitch package. The fine adjustment of the stitches can be performed comfortably by turning a knob. Threading is supported by colour-coded threading paths as well as looper and needle threading aids. The knife is operated from below for visibility while stitching and added safety. The bright LED light ensures good visibility. 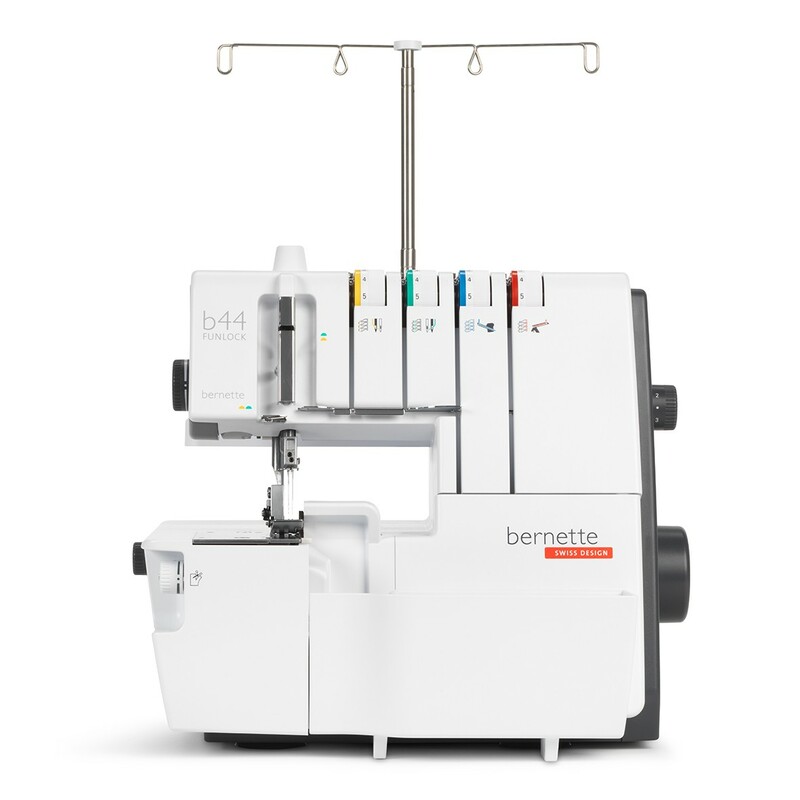 The b44 is also fast-it stitches up to 1300 stitches per minute.